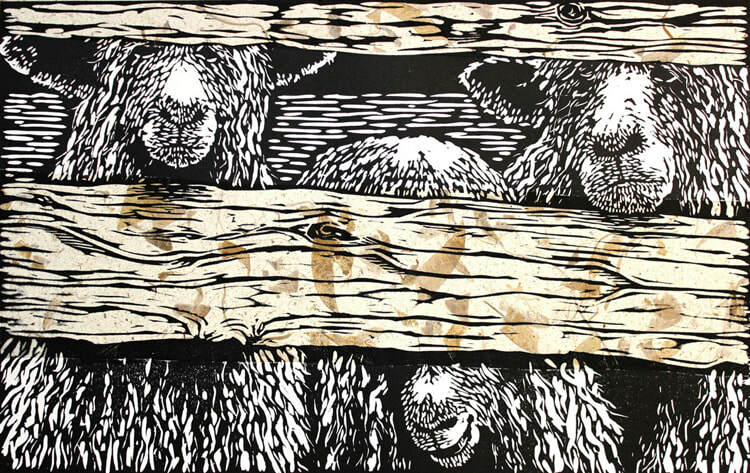 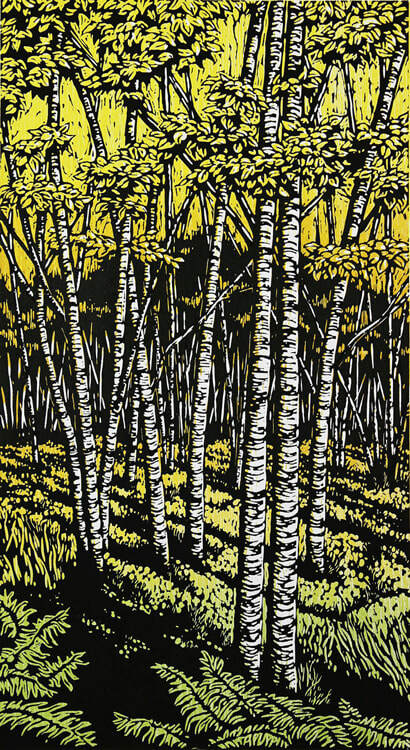 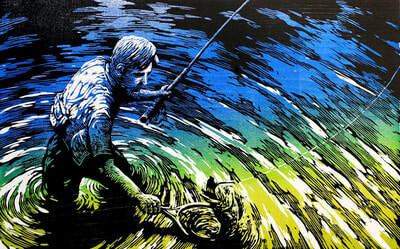 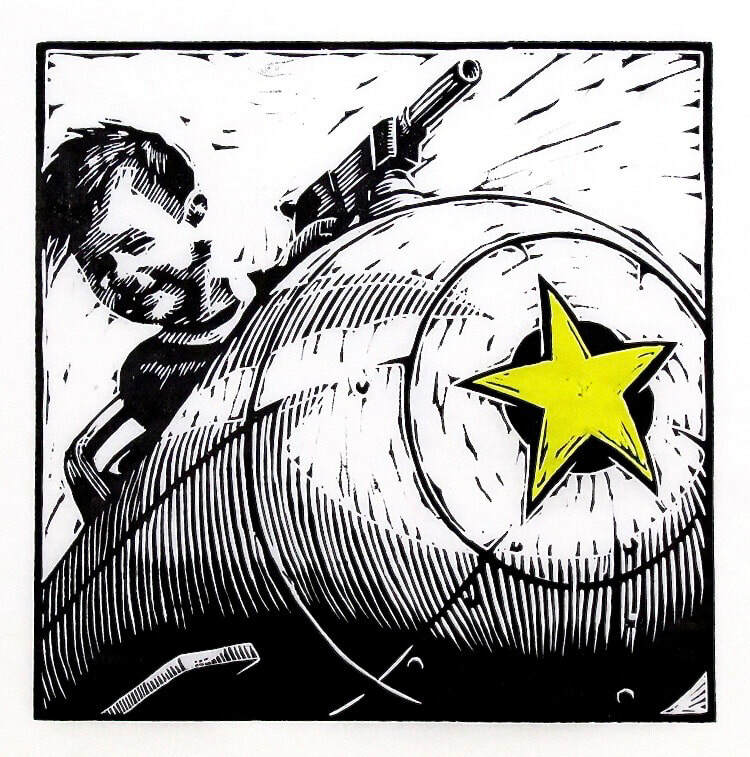 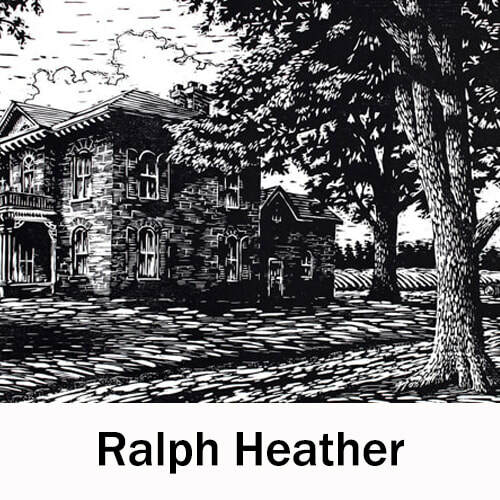 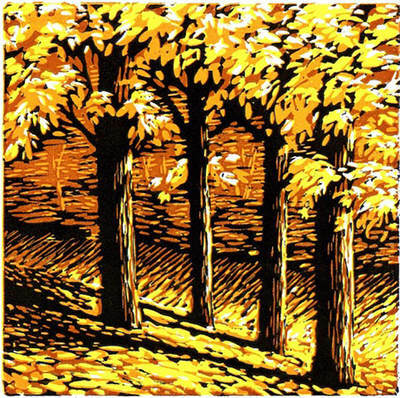 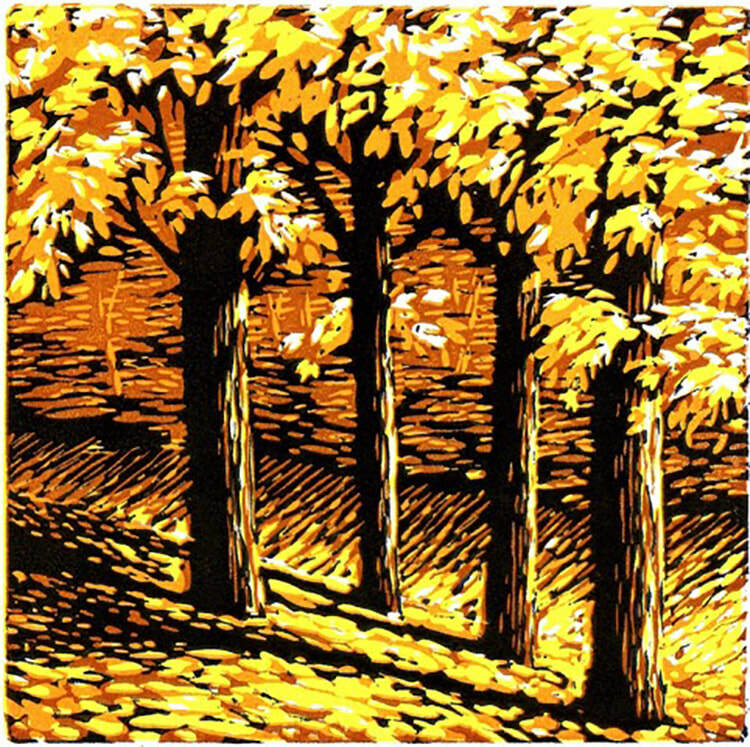 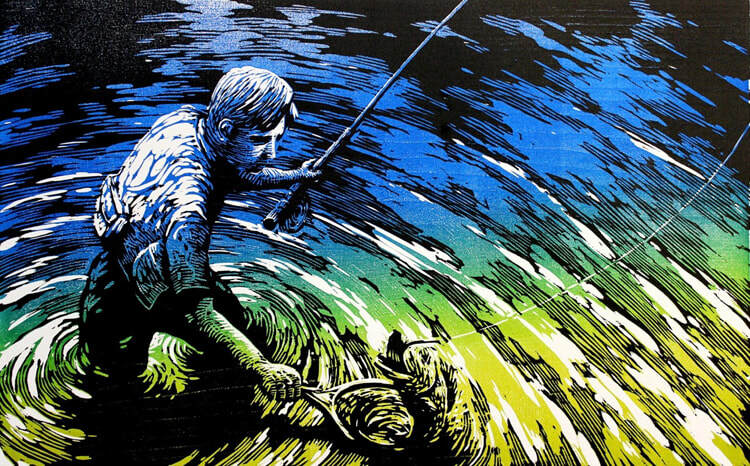 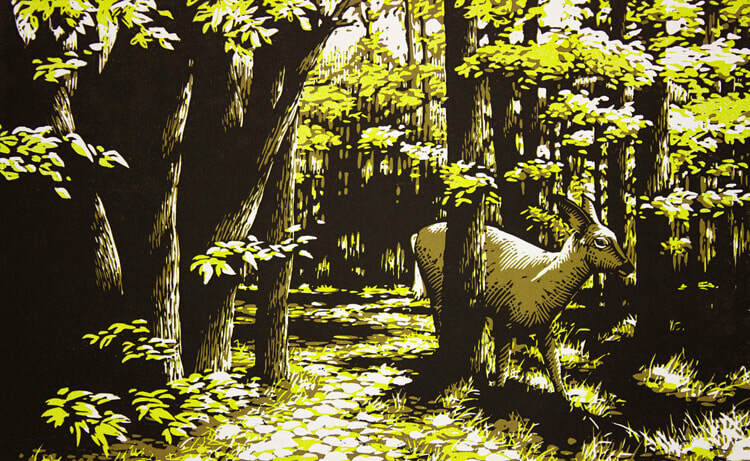 Ralph Heather is a visual artist living in Paris, Ontario, focused on original printmaking using the traditional techniques of hand-cut linoleum, woodcuts or etchings, which are hand-printed by the artist. 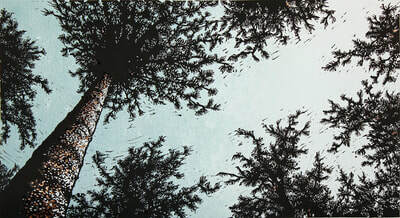 He also explores other art mediums such as drawing, watercolour and acrylic painting. 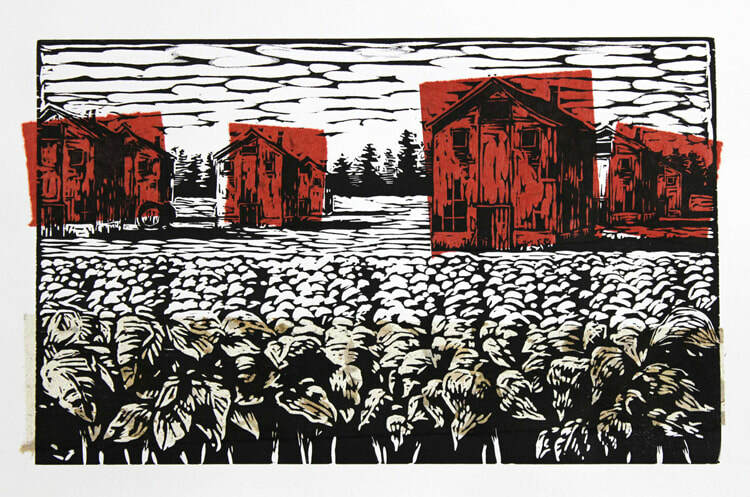 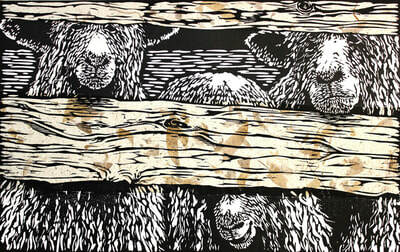 In his work he weaves visual cues and stories together using the best medium to express them. 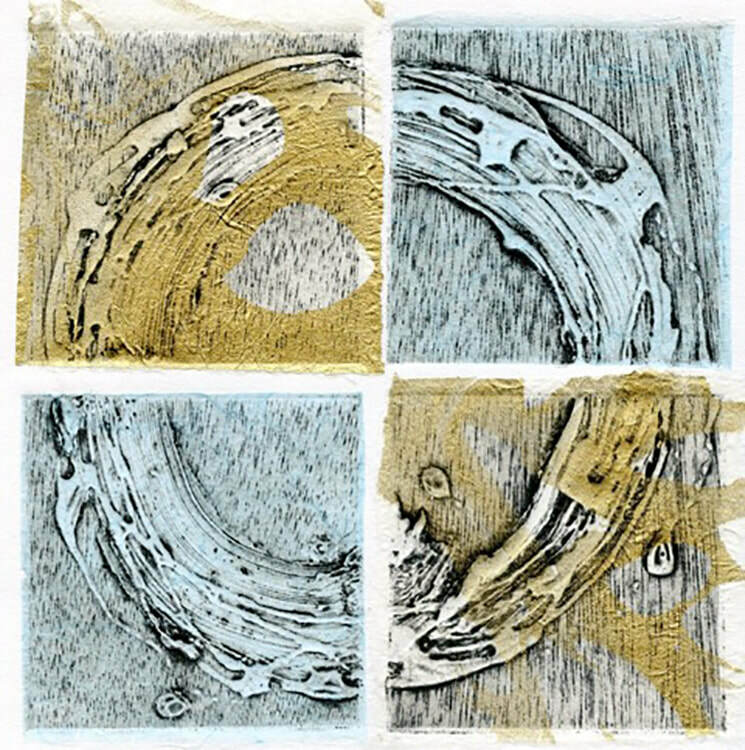 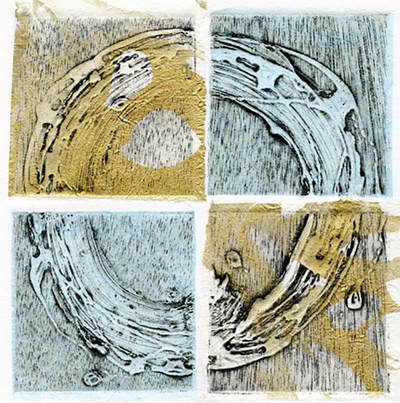 Enjoying the mechanical possibilities and challenges of hand-pulled original printmaking, the tactile feeling of wood and ink, the flow of painting and drawing, and the excitement of watching his ideas come to life. 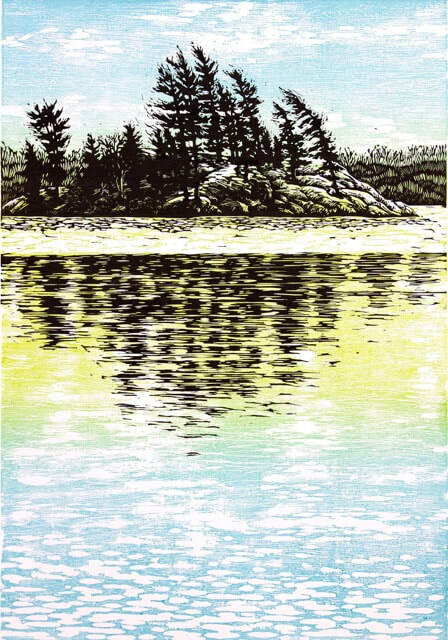 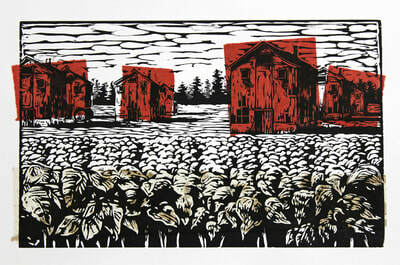 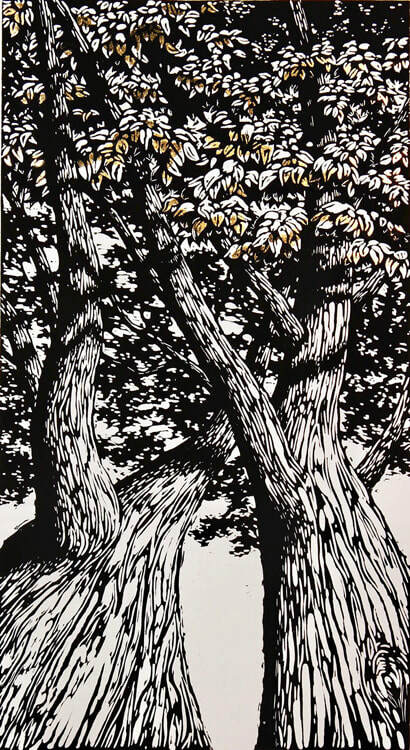 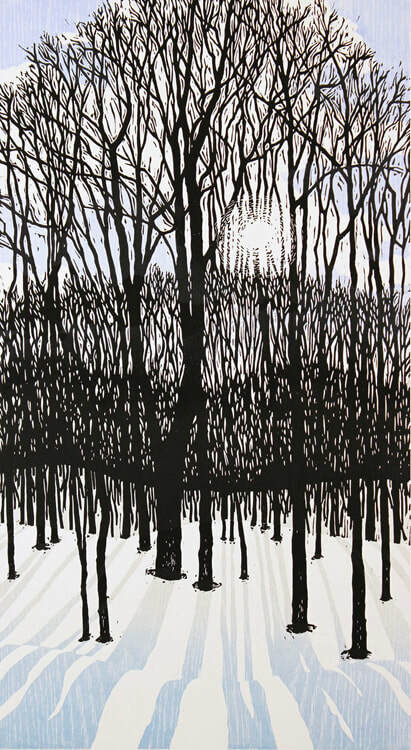 "I discovered printmaking and life drawing early on during my time at OCAD and have always held onto that interest. 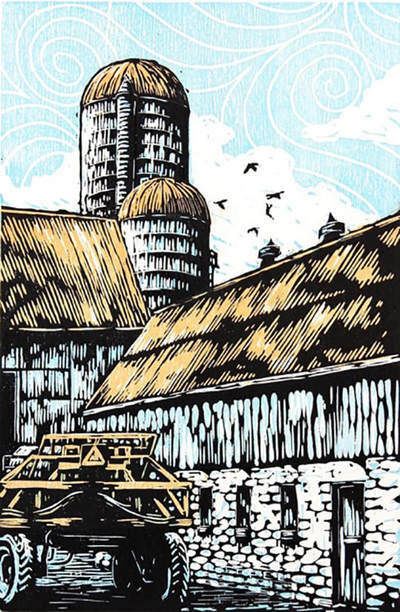 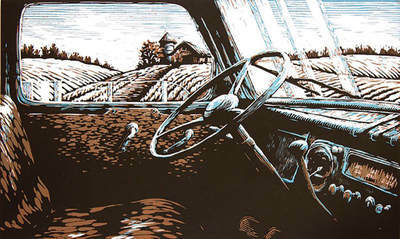 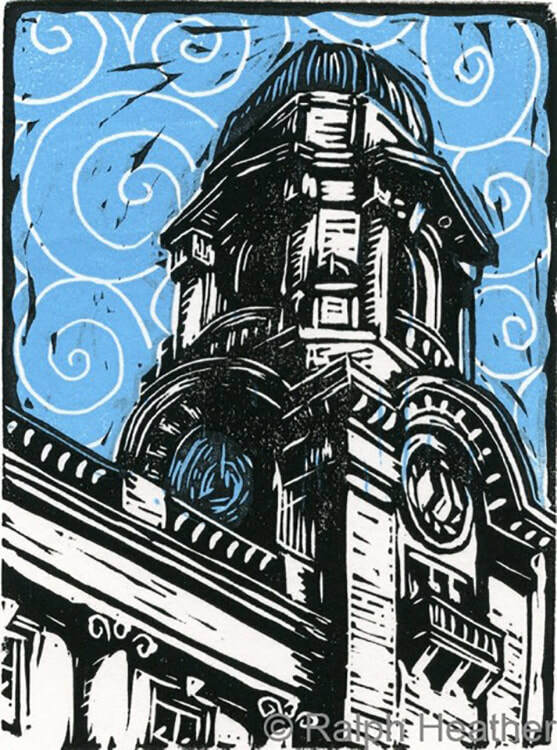 During my career in graphic design, I continued to find time to nourish my artistic needs with countless workshops, discovering the artful printmaking techniques of metal etching, woodcuts, collagraphy and wood engraving. Now I happily stay focused on my art, teaching, and enjoying a very well equipped home-based studio with everything needed to create my art."